IWF -Advisory: Jan. 11 Lunch Panel | What's Next For Paid Leave in D.C.? Advisory: Jan. 11 Lunch Panel | What's Next For Paid Leave in D.C.? 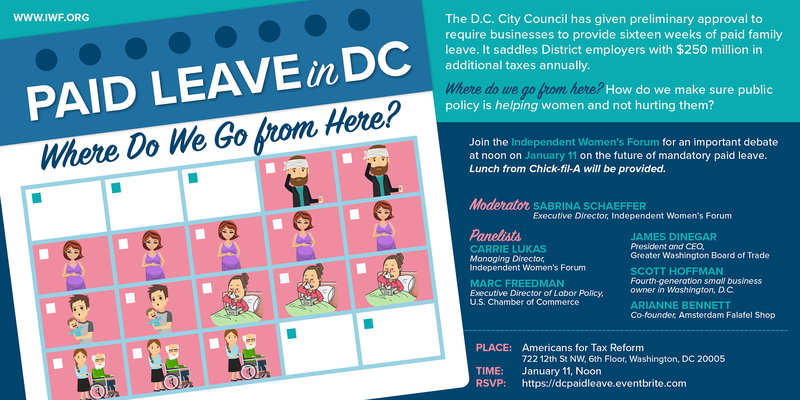 (WASHINGTON, DC) -- On Wednesday, January 11th, Independent Women's Forum will host Paid Leave in DC: Where Do We Go From Here? lunch panel discussion. D.C. joins a growing number of cities and states that have passed paid family leave laws in the U.S. D.C.'s preliminary approval would require businesses to provide up to sixteen weeks of leave: eight weeks for birth, adoption or fostering, six weeks to look after sick relatives, and two weeks for personal medical emergencies. 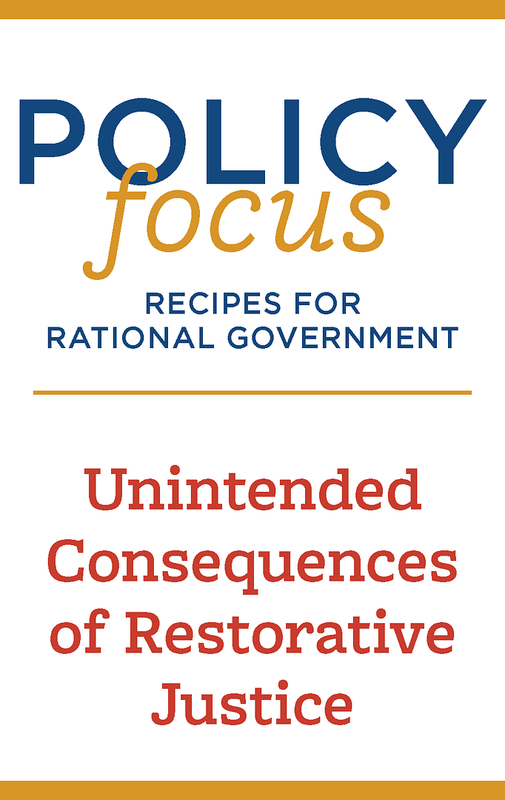 How will the new law affect D.C. businesses, employees, and taxpayers? U.S. Chamber of Commerce Labor Policy Executive Director Marc Freedman, Greater Washington Board of Trade President and CEO James Dinegar, D.C. based insurance agency Howard & Hoffman, Inc. fourth-generation business owner Scott Hoffman, Amsterdam Falafelshop Co-founder Arianne Bennett, and IWF Managing Director Carrie Lukas will answer this critical question. Event open to the media.